The first annual Heart of L’Arche Benefit and Auction was a fantastic success, due to the generosity of so many of our family and friends. To everyone who was a part of this day, thank you very, very much! Together, we raised $17,000! We raffled and bid, and raised the necessary funds to replace the sewer line at Peace House. We enjoyed delicious food and drinks, due to the generosity of some very kind sponsors. 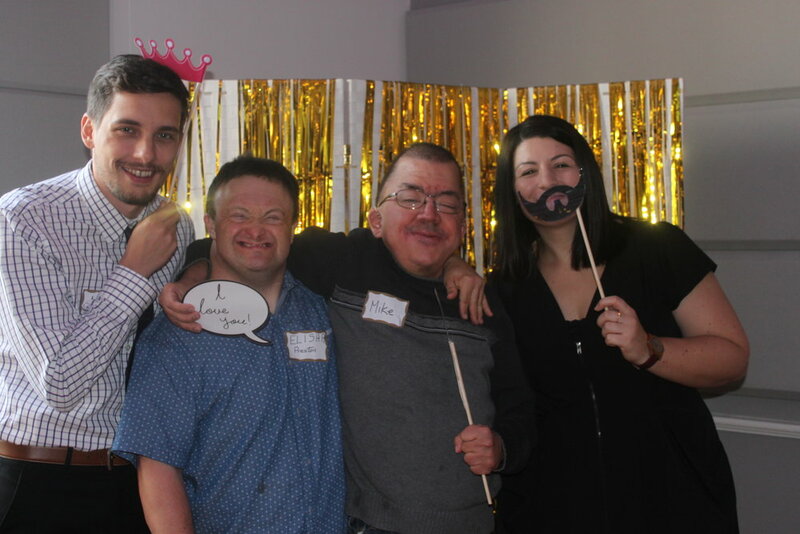 And members of the community shared that at the heart of L’Arche is friendship and togetherness. What a joy to be able to celebrate these gifts by being together! Thank you again to all of our generous sponsors, donors, and friends! Peace House fun in the photo booth! And our board president, Jim! Mic and Luca share about the heart of our community. Lots of help at the live auction! Sharing about the friendship and meals at the heart of L'Arche!